Time to think about 2010 and nothing starts the year out right like a wonderful New Year’s Eve party! Invite all your friends, they will never know the food is allergen free! 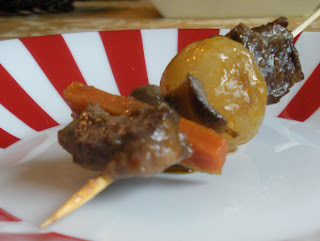 I have included a list of my recipes that will work great for NYE including boeuf bourguignon skewers and white bean dip (this dip is from the holiday lamb chop recipe but is also crazy good on leftover turkey sandwiches, the bean mixture adds moisture to the allergen free bread). 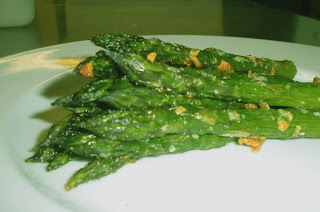 I encourage you to think of any main dish you enjoy and portioning it out in bite size portions - as an amuse bouche (French term for one bite) Click here to access these recipes. 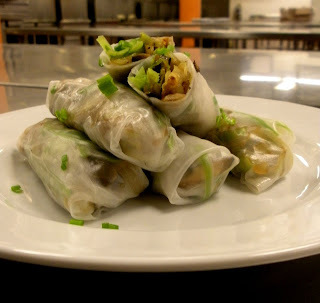 I have also included below a new recipe for Spring Rolls and one that looked extra good from the Food Network - thanks Ted Allen! Add to sauce pan and reduced by half. Store in refrigerator, use within 4 days. 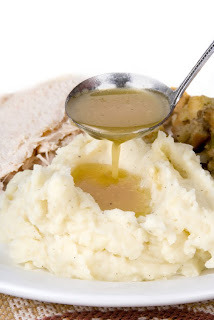 Mix soyless sauce, Kosher salt, ground black pepper and cornstarch together, set aside. Cut the pork into thin strips, add to marinade and let sit for 15 minutes. 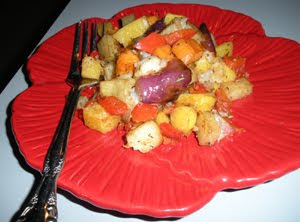 Heat saute pan (preferably a wok) over medium-high to high heat. Add the oil for stir-frying and let heat another minute. When the oil is ready, add the onion and cook until soft and translucent. Add celery and cook until soft.Remove from the wok. Add pork to the wok and cook covered until well done and set aside. Next saute mushrooms, set aside. Add cabbage, and cook covered for approximately 1 minute, again adding salt and/or sugar to taste. Combine all the ingredients in the wok. If necessary, drain some of the juice. Mix gravy ingredients and add to wok/saute pan, pushing the vegetables up against the sides of the wok to form a well in the middle for the gravy. Stir to thicken. Mix thoroughly. To wrap, soak spring roll wrapper in water until soft. Lay the spring roll wrapper directly in front of you on a towel, add a second wrap directly on top of the first. Place the filling in the bottom middle closest to you. Tuck the wrapper closest to you around the filling and tuck sides in and roll. Very similar to making a burrito. You can eat the rolls as is or pan fry the rolls until crispy on all sides. Ted Allen of the Food Network shares his recipe for Crostini with Thyme-Roasted Tomatoes, now for us allergenistas with wheat allergies/celiac, replace the bread with Deerfield Bakeries French Baguettes and you’ll have a hit. 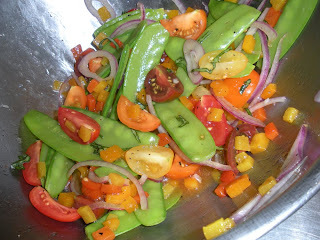 Other options for flavoring the tomatoes - rosemary, tarragon or cumin and cilantro. Preheat the oven to 275°F. Place the tomatoes cut-side up in a shallow baking dish. Drizzle with olive oil and sprinkle with salt, pepper and the thyme. Roast 1 hour 30 minutes to 2 hours, or until the tomatoes are very soft and slightly shrunken. Increase the oven temperature to 400°F. Place the baguette slices on a baking sheet, drizzle with olive oil and bake until golden brown, about 10 minutes. Rub the crostini with garlic and top each with a roasted tomato. Next up: My favorites for 2009! Last week was the last week of my culinary program at the Cooking and Hospitality Institute of Chicago (Cordon Bleu Chicago). I am proud to say, like Julia Child, who also attended Cordon Bleu, I was top of my class. Funny how it took me 40 years to be a straight A student, I assure you my grades weren’t this high my first time around in college. My success at CHIC was a combination of being an older and more mature student, but mostly because I found a true love for cooking and helping people eat with food allergies. Nothing beats figuring out a recipe so that people can continue their family traditions - allergen free. I wanted to thank CHIC for their unending support and patience as they figured out how to work around my unique needs as a student. I would also like to thank all the chefs at the school. Each and every one of them went out of their way to make recommendations for making dishes safe and options for ethnic cuisines that are naturally allergen free. In particular, I want to thank Chef Brian Karam. 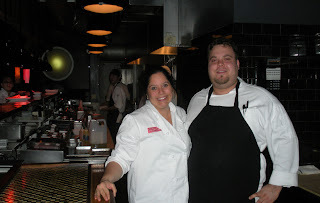 Chef Karam was my supervisor for my 12 week externship and also suffers from Celiac disease. Chef Karam always had recommendations to intensify or build the flavor profile on my recipes and was extra sweet, but blunt when recipes just didn’t work. 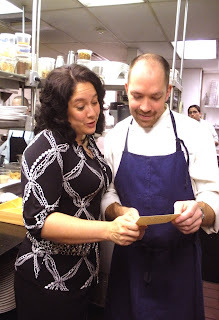 I am so thankful for the opportunity to work with Chef Karam and believe my skills have multiplied under his wing. Creamed Garlic – This is very similar to mincing garlic, but keeps your hands clean. Click here for a instructions on how to cream garlic. Mirepoix – A mixture of 2 parts onion, 1 part celery and 1 part carrot, you can use a rough combination for this recipe. Concasse – This is a tomato that has been blanched, shocked and chopped. All seeds have been removed from the tomato. You can use canned diced tomatoes as well. Sachet – Normally wrapped in cheese cloth, you can use a coffee filter in a pinch to contain these ingredients to add extra flavor to your dish. Sachets include – 6 parsley stems, 8 whole black peppercorns, sprig fresh thyme, a couple bay leaves and 1 whole clove. Make sure you fold the coffee filter several times so the ingredients don’t get out. 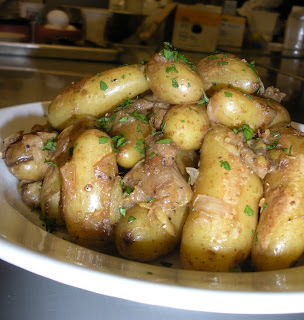 Mix together the persillade (crust for meat) by combining parsley, garlic and potato chips, set aside. 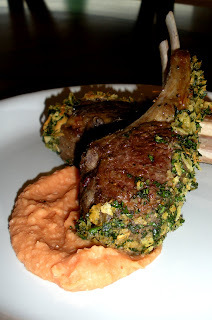 Dry the lamb chops and season with Kosher salt and pepper. In a small saute pan, heat olive oil and sear chops on all sides. Remove chops from pan and spread mustard on the fat side of the chops. 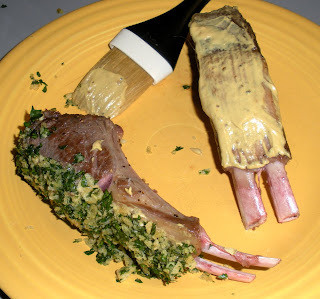 Press persillade mixture into mustard to stick on the side of chops, set aside. Add mirepoix to saute pan and place chops on top. Finish in oven until desired doneness. If you have time, you can add beef stock to the saute pan and reduce until you can run finger through the sauce on the back of a wooden spoon and it does not run thru line you just made (the French culinary term for this consistency is nappe). In a small saucepan, heat oil and sweat onions until translucent. Add garlic, and cook another minute, careful not to burn garlic. Add beans, tomato concasse and stock. Add additional water if needed to cover beans. 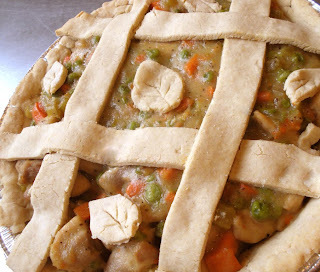 Bring to a simmer and add sachet. Maintain a simmer until beans are tender, about 30 minutes, adding more water if needed. Remove beans from liquid and take out sachet, reserve liquid. Place beans in a blender and add 2 tablespoons of reserved liquid. Adjust consistency by adding additional liquid and seasoning with Kosher salt and black pepper. 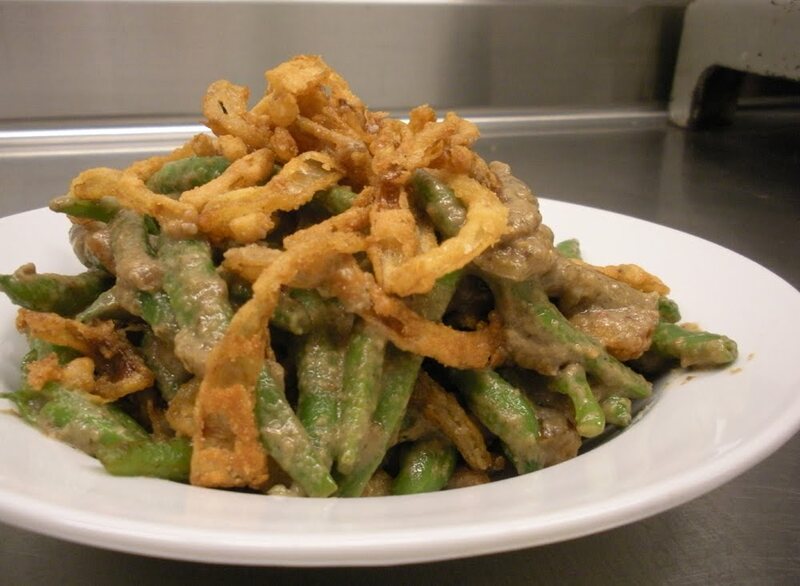 Smear beans across plate and top with chops. Enjoy! These cookies are so good, no one will ever know they are allergen free. This is a modified recipe, I used to call these graham cracker cookies, I tested them with some modifications at a cooking class at the Whole Foods Market in Willowbrook last week, and most people thought they tasted like snickerdoodles. Blending these could make a really nice crust… hmmm. Let me know what you think. 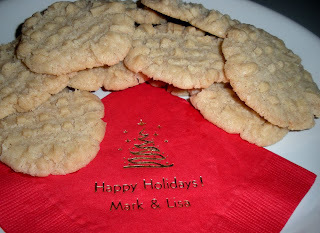 These cookies taste best when you use Bob’s Red Mill All Purpose Flour. Combine flour, salt, baking powder and cinnamon together by sifting and set aside. Blend sugar and Earth Balance together and mix with water and canola oil. Bake for 9 minutes and put on a rack to cool. The cookies are very delicate until they are fully cooled, be careful! Good news allergenistas, Food Channel.com announced the top 10 trends for 2010 and “free from” is on the list, like Gluten-Free and Allergy-Free! Another trend that is great for our community is a focus on international flavors, there are some naturally allergen friendly or free products that exist in other cultures, as we learn more about other cuisines, we will find new ingredients and recipes for allergen free options. For the full details visit foodchannel.com . In a back-to-basics economy it is natural to return to basic ingredients. This isn’t about retro, or comfort food, or even cost. It’s about determining the essentials and stocking your pantry accordingly. It is about pure, simple, clean and sustainable. It is—dare we say—a shift from convenience foods to scratch cooking. Restaurant concepts are in flux as people redefine what going “out” to eat means. Gastropubs, fusion dining, shareables, and communal tables are all being tried. New concepts around “fresh” and DIY will do well. Experimentation is the trend, so we’ll see concepts come and go. We predict growth in grocery stores, particularly as private label assumes prominence. Those old generics have morphed into their own brands, so that there is blurring and less of a caste system. Grocery stores are also doing things such as upgrading delis and fresh take-out sections, all the way to returning butchers to a place of prominence. This is all about flavor delivery. Immigration has come to the plate, and we are now defining a new Global Flavor Curve. Part comfort, part creativity, the latest flavors are coming from the great American melting pot. So, it’s about grandma’s food, but the recipes may be written in Japanese. You are what you eat! That’s what’s leading this trend—our constant need for assurance that we are eating the right things, that our food is safe, that we are not ingesting pesticides or anything that will someday prove harmful. Call it food vetting or sourcing—the issue is that people are asking where their food comes from. People have mainstreamed sustainability, unlike a year ago, when we were somewhat afraid to use the word. America is just now learning how to be sustainable, and Americans are holding themselves responsible. In 2010 we’ll see people and companies becoming sustainable for authentic reasons. Call it what you will—nutritional, healthful, good-for-you—but this trend toward beneficial foods is growing at a pretty big rate. 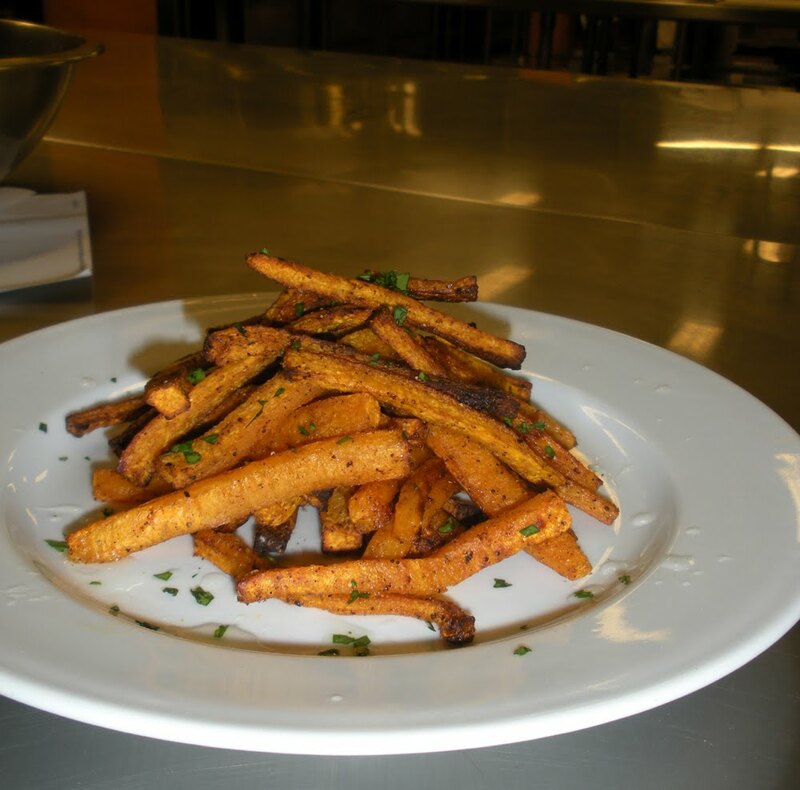 Expect food to either have nutrients added, or have the word “free” (gluten-free, allergy-free). The “foodie” has settled into a more universal designation of someone who loves food—not a food snob. They are just as likely to want a PB&J as they are to try the latest soft shell crab sushi. And they may put French fries on it! The point is experimentation and a willingness to try new things. In an era when you can rent a name-brand purse for a special event, we want to know how we can apply that same concept to consumables. So what do we do in a bad economy when we have more time than money and skills that we still want to put to use? We barter. We predict that we’ll all see more of the barter system come into play now that technology can assist with connections. It’s the rise of the individual. While sharing has come into its own in restaurant concepts, there is a separate but equal trend toward individuality. 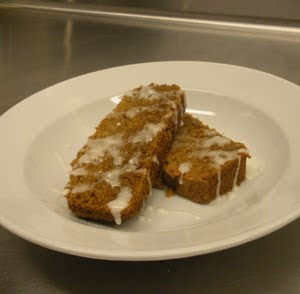 It’s part of the reason why we are making our own cheese, smoking our own meats, and making our own specialty desserts. Expect more attention to the individual, but it’s not just about portion size—it’s also about food that reflects personality. Next Up: A perfect dinner for your holiday guests. Looking for the perfect gift for your favorite allergenista? Look no further! 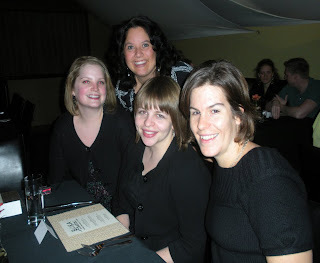 Our first Safe & Sound Dinner of 2010 is at Landmark Grill & Lounge on Tuesday, February 9th. 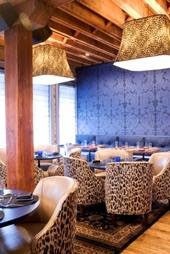 This chic restaurant is owned by the same restaurant group as BOKA, so you know it is going to be good. 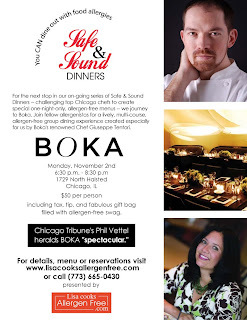 In fact, Zagat says, “Those BOKA boys did it again…at this Lincoln Park “see- and-be-seen” “hit in the making”. The décor is chic and warm, a perfect setting to chase away the cold of Chicago winters and if today is any indicator, we are going to need it! 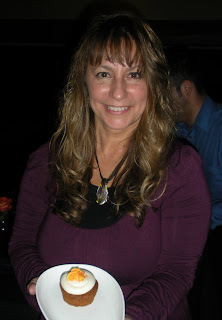 I worked an evening at Landmark Grill & Lounge last week and was impressed with their allergen protocol. When you sit down at Landmark, the first thing you are asked is if you are headed to the theatre (Landmark is right across from the Steppenwolf Theatre) and if you have allergies or any other dietary concerns. After your order is taken, a computerized ticket is sent to the kitchen with an allergen alert on the order. The chef also announces the special allergen request in the kitchen and reconfirms as the dish goes thru the pass. Every step of the process was handled with the utmost care and concern for cross contamination and safety. 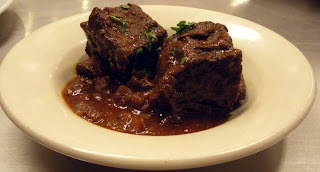 Now, onto the menu, how does braised boneless short ribs with mole, corn orzo and brussel sprout leaves sound? Or how about acorn squash risotto with arugula, pumpkin seed oil and sage? These are just a few of the dishes on Landmark’s menu, I can’t wait to see the special menu Chef Kurt Guzowski is going to prepare for us, all free of the Big Bad 8 and gluten. If you have any other special requests, please email them to me and I would be happy to see if the chef can accommodate. Tickets will go on sale for the general public later this month, but a small block of tickets will be available for a holiday discount of 10% using code LCAF0209 only good until 12/24/09. 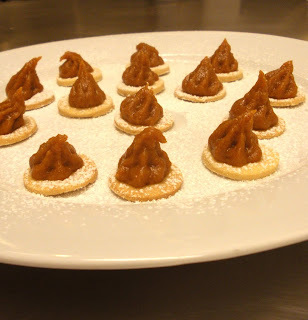 I posted this recipe last year, but have made some changes that have greatly improved the texture and taste of this cookie. 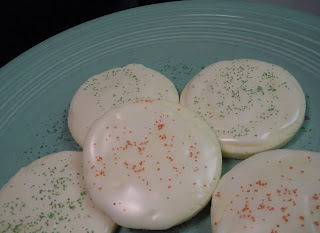 Sugar cookies were my favorite cookies to make with my great grandmother when I was little; she made at least a dozen of different types of cookies and candies, but these cookies… I just had to figure this recipe out and with the help of Earth Balance Soy Free Buttery Spread we are really close. Enjoy! These cookies are best when you use Jule’s Gluten Free Flour. 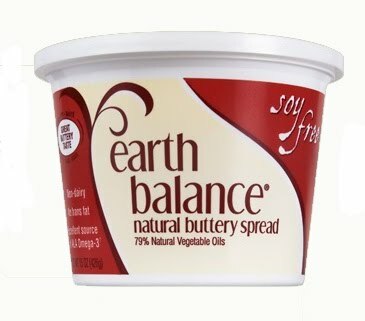 Combine Earth Balance Soy Free Buttery Spread and sugar until smooth. On a clean dry surface, sprinkle rice flour and roll ½ of dough out to 1/4” thickness. Sprinkle flour on your rolling pin to keep dough from sticking. Place a cup of powdered sugar into a bowl and slowly add water, a few drips to start, you need very little. 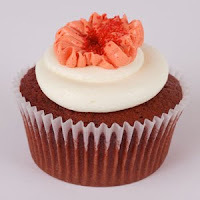 Mix together until you make a frosting consistency, slowly adding water as needed. 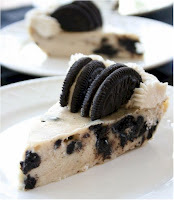 Take a spoon and rub over cookie, place on a flat surface to dry. When I first started culinary school, my husband didn't care for any specialty rice dishes. He only liked plain white rice with Smart Balance and salt. Every new dish I brought home would be followed with a polite response that he likes everything, “subtle”. Well, all that changed when I first made risotto! This dish takes a little time and attention, but it is well worth it, enjoy! Heat broth over low heat; keep warm. In a sauce pan, heat 2 tablespoons oil over medium heat. Add bacon, cook until crisp, remove and set aside. Reduce heat to medium. Add onion; cook until soft, 5 minutes. Raise heat to medium. Add rice; cook, stirring, until translucent around edges, about 3 minutes. Add warmed wine; cook until pan is almost dry, about 2 minutes. Add 1 cup hot chicken broth at a time (stir until almost all liquid is absorbed before adding more), until rice is tender, 25 to 30 minutes total. While risotto is cooking take roasted red pepper and add to blender. You may need to add a little water to help the blender puree the pepper. 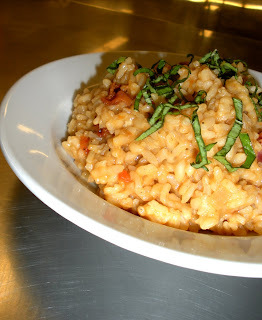 Mix red pepper puree and bacon with finished risotto and top with basil. 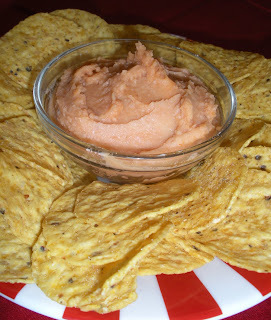 This is a perfect snack while the whole family huddles up to watch a movie. If your crew likes a little heat, add some chili powder with the powdered sugar for some sweet and heat! In a large pot with a lid, heat oil over medium-high heat until hot, but not smoking. 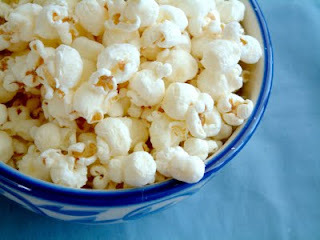 Once hot stir in sugar and popcorn kernels and cover. Continue cooking, shaking pot constantly, to keep sugar from burning. Continue shaking pot until popping has almost stopped (be careful not to burn). Now for a little gift giving idea. 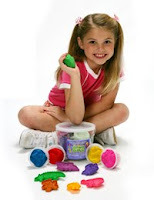 A great stocking stuffer for little ones, Aroma Dough is Gluten Free made with 100% organic, wheat-free rice flour, sodium, water, moisturizing oils, natural aromas (no perfumes). It DOES NOT contain nuts, nut oils, perfumes, soy, dairy products or wheat. Next up is another clothing item, it is just so cute, I couldn’t resist. Who says you can’t share your allergen message and still be stylish? Theresa Marie Green, owner of Allergy Apparel and mother of two children, one with a severe nut allergy, wanted her line to be “hip, functional, and educational”. Why skulls and crossbones? 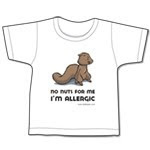 “Other than the cool factor, they are a reminder that nuts, wheat, eggs, dairy, gluten, shellfish, and other foods can be poison to a child.” I know what you are thinking… yes, they have adult sizes too! Allergy Apparel is having a promo offering FREE shipping on orders over $75. A 10% discount is also available when you sign up for their email updates, private sales, and coupons. 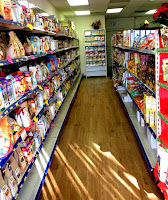 Last but not least, I visited Lil’s Dietary Specialty Shop in Chicago’s Beverly neighborhood yesterday. Owner, Marcie Harvey, coins her shop “where everyone is special” and she is right. Marcie took me all over the store, offered me samples of products and helped me handpick products specific to my allergen needs. What’s even better, if you don’t live in the area, you can call and Marcie will help you put together your order and make recommendations based on your tastes and allergens. Lil’s ships all over the world including Europe, Brazil and Saudi Arabia. 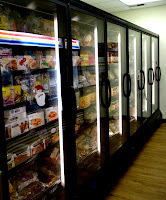 What impressed me the most was the large selection of dry and frozen goods. Below is just a couple of the great allergen alternatives available at Lil’s Dietary Specialty Shop. Visit Lil’s Dietary Specialty Shop at 2738 W. 111 Street, Chicago, IL 60655 or go online and shop, get a 10% discount using code: Lisacooks. Thanks Marcie! 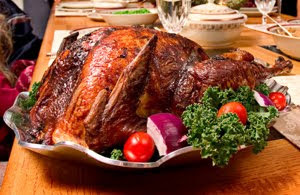 That’s right allergenistas, this month, I will be focusing on everything you need for the holidays from gift giving, the perfect dishes for the big day, to appetizers and cocktails to ring in the new year. 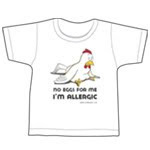 Mallergies has created a line of t-shirts and bibs that are so cute and share your allergen message in a cute and impactful way. Perfect if your child goes to a home or event where allergens are present. Another clothing product I really like is Ragaboo, they are a new Florida based company that focuses on all organic products to make their t-shirts. No harsh dyes or chemicals which can be important for allergenistas with skin conditions. The t-shirts are made of 70% certified organic bamboo and 30% certified organic cotton and is printed with lead free inks. Ragda Deeb McAfee, the owner, has two children with dairy allergies and her business started from her concern for pesticides and chemicals in the foods we eat and clothes we wear. 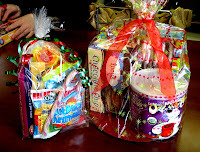 Ragaboo is offering a 20% discount for all purchases, use coupon code: lisa to get your discount (expires Jan. 01 2010). 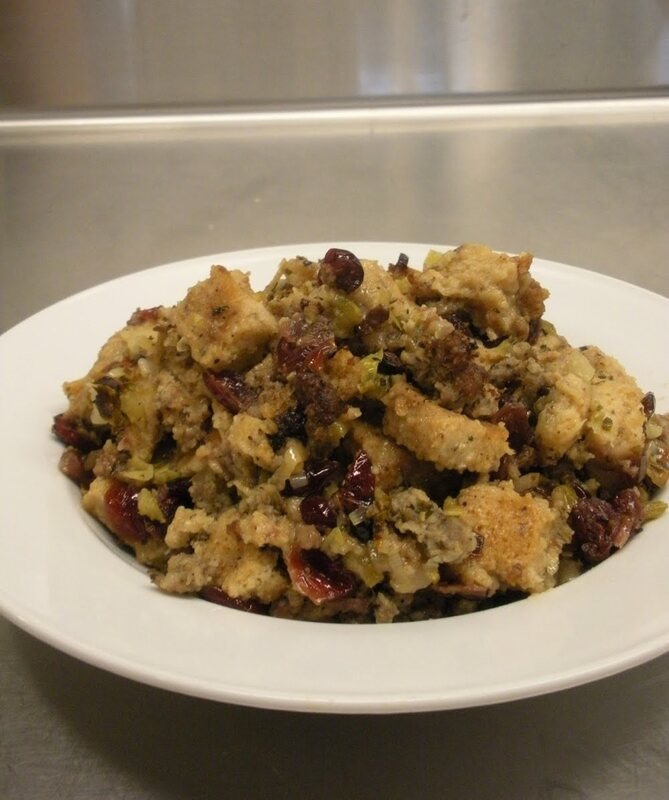 Stay tuned allergenistas, this is just the beginning of recipes, gift ideas and tips to have a great holiday season.